And then I woke up and it was all a dream is a site-specific installation consisting of a large-scale, double video projection exploring the epic themes of love, romance, jealousy, despair, drama and tragedy. Video footage of a walking barking battery-operated dog is played opposite footage of a walking meowing battery-operated cat. 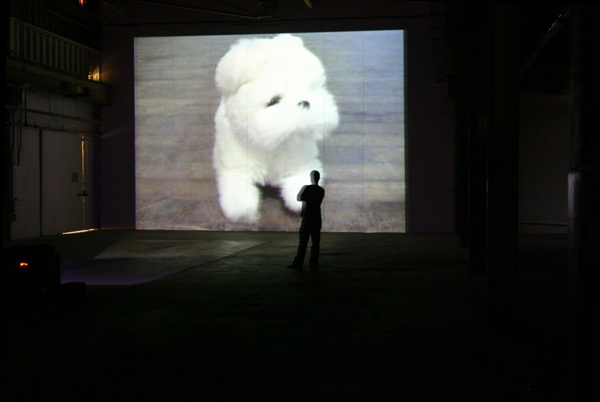 The audio and visual footage plays in 1/5th real time in a cavernous warehouse space.